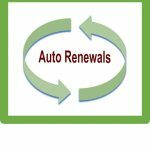 In September 2016 we introduced Autorenew. This means all one-week and three-week loan items renew automatically up to ten times. So far this year student fines have reduced by 38% as a result. If you are going away this summer, remember other staff and students will be busy working in college. This means that any item you have may be reserved by another user: if one of your items is recalled you will need to send it back to us. Please check your UAL email over the summer in case this happens. As items will only be renewed up to ten times, we recommend you return all your books and take them out again before you leave. This will give you the best chance to get the maximum number of renewals and avoid fines.